Tennis camps in North Carolina are a great way to learn tennis strokes, master your footwork and improve your court awareness. Whether you want to play the sport professionally or are hoping to qualify for your college team like the University of NC Tar Heels, tennis camps can give you the head start you need. With so many college tennis camps in North Carolina to choose from, it might be a daunting task to find the one camp that suits all your needs. At Sports Camp Connection, you will find plenty of free information about all the tennis camps in North Carolina and across the country. Zero in on the camps you like, and get set to grab your racquet and head out to play! The University of North Carolina Tennis Camp located in Asheville NC offers youth athletes an amazing opportunity to learn from top conference coaches and staff. Come experience Tar Heels Tennis and take your game to the next level. Request more information today! 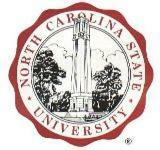 The North Carolina State University Tennis Camp located in Raleigh NC offers youth athletes an amazing opportunity to learn from top conference coaches and staff. Come experience Wolfpack Tennis and take your game to the next level. Request more information today! The Wake Forest University Women's Tennis Camp located in Winston-Salem NC offers youth athletes an amazing opportunity to learn from top conference coaches and staff. Come experience Demon Deacons Tennis and take your game to the next level. Request more information today!